Caleb Smith and Tyler Mahle are making up for bad starts by themselves and by their respective teams with the kind of pitching that offers hope for the future. The Miami Marlins opened the season 5-17, and the Cincinnati Reds started 3-18, but both teams have received big lifts the last two times those pitchers started games. Smith and Mahle will match up Saturday at Great American Ball Park in Cincinnati in the second game of a three-game series. Other than a victory in their only game against the Chicago Cubs, the Reds have won only one series all season. But the Reds got a jump on the Marlins by riding Eugenio Suarez‘s three-run homer in a four-run first inning to a 4-1 victory Friday night. Sal Romano limited the Marlines to one run in 5 1/3 innings, and four relievers combined for 3 2/3 scoreless innings. The Marlins will try to bounce back Saturday behind Smith, the left-hander acquired from the New York Yankees during the winter for international slot money, pitched seven innings of two-hit shutout ball Sunday to post his first major league victory — a 3-0 win over the Colorado Rockies. He struck out nine and walked only one. “Just getting confidence in myself and just going out there and pounding the zone,” Smith said. Smith is 1-3 with a 4.40 ERA in six starts but has given up only two runs on four hits while striking out 19 and walking one in 13 innings over his last two starts. On Saturday, he will try to become only the third Marlins pitcher to strike out at least nine batters in three consecutive starts. “It’s a matter of let’s attack the strike zone. 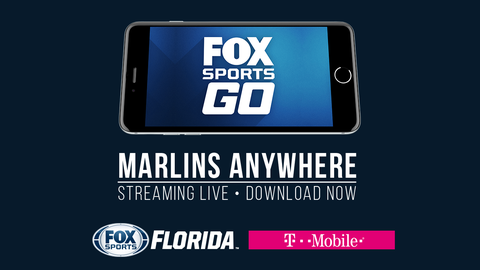 … He has a lot of swing and miss stuff,” Marlins manager Don Mattingly said. Smith is living up to an old baseball adage for starting pitchers: trust your stuff. The Marlins thought he was trying to be too fine, working the corners, instead of throwing the ball in the strike zone and letting batters swing and miss. Similarly, something has clicked recently for Mahle, the right-hander who has pitched better than his 2-3 record and 4.32 ERA indicates. He has given up four runs in 12 1/3 innings during his last two starts but has struck out 18 and walked only four. Mahle allowed one run and four hits while striking out seven and walking two in 6 1/3 innings Sunday as the Reds beat the Minnesota Twins 8-2. In his start before that, on April 24, he took a no-hitter into the seventh inning against the Atlanta Braves. However, he ended up allowing three hits and three runs in 6 1/3 innings, getting no decision in Cincinnati’s 9-7 victory. He has not faced the Marlins. The Reds are off to a slow start offensively and defensively in what is shaping up to be a fifth consecutive losing season, but players such as Mahle and shortstop Jose Peraza are giving hope for the immediate — and distant — future. Peraza started the season 0-for-12 but has since lifted his average to .298 with hits in 10 of his last 11 games. He started Friday’s game with hits in his first two at-bats while going 2-for-5, and he is hitting so well, it’s been hard to take him out of the lineup. He’s started 31 of 32 games. Reds second baseman Scooter Gennett could return Saturday after being out since Monday with a sore right throwing shoulder. Tests did not reveal any structural damage.